These Versailles real estate listings are updated every 15 minutes from our MLS system. Contact us if you would like assistance buying or selling property in downtown Sarasota. 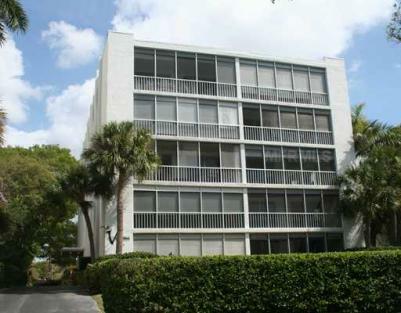 Read more about Versailles condos. Marina Jack, known as "Sarasota's first environmentally clean marina," offers a unique dining experience. In the second-floor formal Dining Room, guests can enjoy a breathtaking view of Sarasota Bay and the Gulf. The fiber-optic lighting accentuates the grand architecture and saltwater aquarium. Located on the main level, the casual Deep Six Lounge and Piano Bar is noted for delicious flatbreads and serves lunches and evening meals. The Marina Jack II cruises take place on "Sarasota's newest and most luxurious dinner boat." It's an ideal site for parties, banquets, or any other social event that's worth remembering. Residents who prefer to dine at home can check out the Lemon Street Market, where each Saturday there's plenty of fresh produce, bakery, seafood and organic garden plants. Nearby St. Armand's Circle is home to over 130 restaurants and shops. Just outside the Circle is Lido Beach, a choice spot warmed by the Gulf waters and breezes. Golf courses and tennis courts can be found at Longboat Key, only a short distance from the Versailles. Also less than a mile from home, boaters can take advantage of the Sarasota Yacht Club. There are excellent opportunities for kayaking at the Bay, as well. Versailles residents who would rather stay home to play can simply take a refreshing dip in the neighborhood swimming pool. As the name suggests, the Versailles is a palatial community of 14 units, each featuring lofty ceilings. After a long day of work or play, residents can take the convenient elevator to their home units to just relax and enjoy the awesome view of Sarasota Bay.